Chandana means paste. 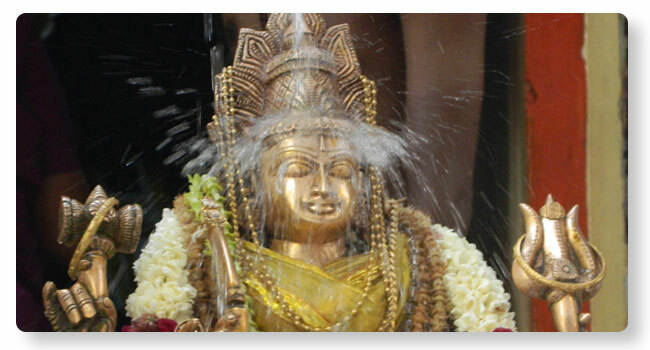 Srigandha (the sandal paste) has a property of causing cooling and very pleasant. The paste is prepared in copious quantities and applied to the presiding deity and a portion is offered as ‘Prasadam’. By making Devi calm and pleasing her, Amma’s grace can be obtained.